Maryland Baseball Network is counting down to Opening Day! Today marks 10 days until the start of the 2017 season, so here’s a look at #9, Jared Price. Height/Weight: 6’3″ / 240 lbs. About Jared: An injury sidelined Price for nearly the entire 2016 season but the redshirt senior had a nice summer in the Cal Ripken League, recording four saves and appearing in 10 games. Price, who was drafted by the New York Mets out of high school, has worked on improving his velocity after shoulder surgery in the fall of 2014. In the 2015, Price made 11 appearances, pitched 8.1 innings and allowed six runs. Looking to wrap up his collegiate career with a consistent, healthy season, Price will attempt to find his spot in a bullpen that features Mike Rescigno and Ryan Selmer. Yesterday, we broke down the Big Ten conference as a whole and spoke to head coach John Scefc and shortstop Kevin Smith at media day. 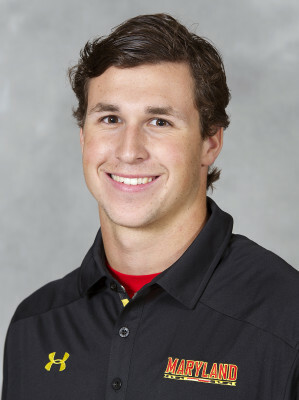 Today, 10 days before Maryland’s season-opener, we’ll take a look at the Terrapin bullpen. The Terps will be without their leader in appearances from a year ago, Robert Galligan, who graduated after a season during which he appeared in a team-high 27 games. However, aside from Galligan, Maryland is returning the majority of its bullpen from the 2016 season. Returning many crucial members of the bullpen will help Szefc and pitching coach Ryan Fecteau continue using a committee of arms to close games. Right-hander Mike Rescigno is coming off a tremendous summer with the Baltimore Redbirds of the Cal Ripken league and has impressed everyone in the offseason. The senior from Monmouth Beach, NJ appeared in 13 games, pitched 15.2 innings and allowed just two earned runs over the summer. Last year Rescigno allowed 12 earned runs in 19.1 innings, but appeared in 23 games, the third-most of any Maryland pitcher. 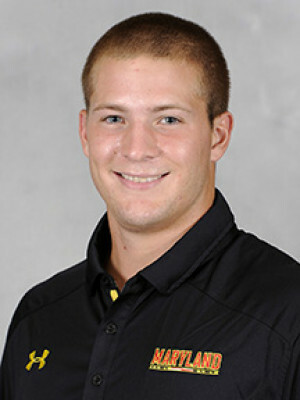 His efforts were rewarded this past year when the San Francisco Giants drafted him in the 36th round of the MLB Draft. However, Rescigno opted to return to College Park for his senior season. He was recently named the top player on Perfect Game’s senior draft prospect list. Right-hander Ryan Selmer joins Rescigno in the bullpen as one of Szefc’s top relievers. Selmer, who will likely see time in critical late-game situations in 2017, spent the summer with Wareham Gatemen of the Cape Cod Baseball League, working on improving his ground ball efficiency. The redshirt junior has led the Terps in appearances the past two seasons, appearing in 27 games a year ago and throwing 37.1 innings, a mark that also led all relievers. He led the team in saves with four and held opponents to a .240 average. 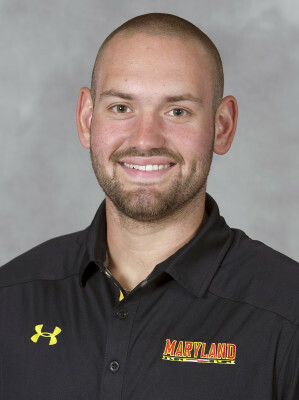 Andrew Green is another reliable option in Maryland’s bullpen this season that has been working on an unconventional pitching delivery this offseason. Not only has he been practicing a submarine delivery (below), but in recent practices, Green has pitched from over-the-top and submarine against the same batter, similar to Coastal Carolina’s Andrew Beckwith. Green is looking to build on a sophomore season in which he struck out 12 batters in 13 relief appearances. Ryan Hill will also see action as a late-inning option for the Terps. One of three transfers on the roster, and the only transfer pitcher, the junior right-hander comes to Maryland from after two strong seasons at Grayson College in Denison, Texas. Hill posted a 2.29 ERA with 53 strikeouts in 39.1 innings (12.13 K/9 innings) last season for the Grayson Vikings. The Terps also have a duo of left-handers that will compete for time out of the ‘pen. Andrew Miller had a strong summer with the Baltimore Redbirds of the Cal Ripken league, as he allowed just eight earned runs in 30.1 innings. Miller’s repertoire includes a fastball that reaches the low 90s, a changeup and a slider. Tayler Stiles, who has spent time as a starter with the Terrapins, may find himself a crucial southpaw piece of the bullpen on weekends. He finished the 2016 season with a 2-3 record and a 6.23 ERA. Maryland Baseball Network is counting down to Opening Day! Today marks 11 days until the start of the 2017 season, so here’s a look at #11, Danny Maynard. Height/Weight: 5’10″ / 195 lbs. 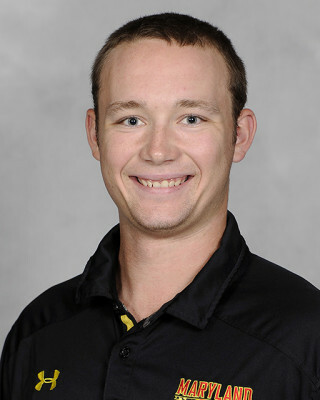 About Danny: Danny Maynard provided quality at-bats coming off the bench as a freshman, hitting over .300 in 25 games. In his first of six starts last season, he went 2-for-4 with both a run scored and an RBI against George Washington University. He also hit a walk-off RBI single to beat and sweep Ohio State in College Park. Before Maryland, Maynard was a dual-sport athlete, playing both baseball and football. In addition to batting .436 in his senior season at Burnt Hills-Ballston Lake High School, Maynard was named MVP in the his high school’s state championship football victory after rushing for 128 yards and two touchdowns. Maynard played in the Perfect Game Collegiate Baseball League this past summer for the Amsterdam Mohawks, where he hit six doubles and a home run, adding 16 RBI’s and 17 walks in 35 games. With the college baseball season less than two weeks away, it’s time to look forward to the Big Ten season. The Minnesota Golden Gophers finished with the best regular season conference record, but it was the Ohio State Buckeyes who took home the Big Ten Tournament crown. The Terps finished sixth in the Big Ten, clinching a spot in the Big Ten Tournament on the final day of the season. Maryland then upset No. 3-seed Indiana twice in the Big Ten Tournament, ultimately reaching the semi-finals before falling to Iowa. Despite the strong finish, the Terps missed the NCAA Tournament for the first time since 2013. Now, with a wide open conference in 2017, Maryland is the consensus favorite according to both D1Baseball.com and PerfectGame. Projected Big Ten Finish is displayed as D1 Baseball’s projection followed by Perfect Game’s projection. Teams are ordered according to their projected finish. Despite the loss of Papio, the Terps’ lineup comes back for the 2017 revamped and ready to get back to the postseason. John Szefc’s team returns possibly the best middle infield in the country — Kevin Smith and Nick Dunn — to go along with 2016’s freshman sensation Marty Costes in the middle of the order. On the pitching side, Maryland will be without last year’s ace Mike Shawaryn, but a weekend rotation of Brian Shaffer, Taylor Bloom, and Hunter Parsons should be able to fill in nicely. They will also be able to hand the ball off to a nasty back end of the bullpen, which sports a good combination of power (Mike Rescigno) and finesse (Ryan Selmer). Behind Maryland, Nebraska may be the top contender for the Big Ten title in 2017. The Huskers bring back most of a roster that finished second in the conference in 2016, including two-way star Jake Meyers, who hit .326 at the plate and posted a 1.42 ERA on the mound. Joining Meyers in the lineup again this season is Scott Schreiber, who led the conference in slugging percentage and home runs last season. If Nebraska stays healthy, they can be part of an exciting two-horse race for the top spot in the Big Ten. Michigan finished second in batting average and first in on-base percentage in 2016, but the big bats in that powerful offense will not be back in 2017. The Wolverines will be without their entire starting outfield from last season, which included .372 hitter Cody Bruder, .326 hitter Carmen Benedetti, and .298 hitter Matt Ramsay. Along with the lineup turnover, Michigan is also losing ace Brett Adcock, who allowed opposing hitters to bat only .190 last season. Junior Oliver Jaskie willl have to step up on the mound while junior Jake Bivens will need to pick shoulder the offensive load for the Wolverines in 2017. The 2017 Indiana Hoosiers will bring back almost their entire lineup from 2016. Freshman all-american Luke Miller returns after hitting .282 last season, and will be joined again by outfielders Craig Dedelow and Logan Sowers, who both project to be important contributors in 2017. The issue for Indiana this season will be the pitching staff, which lost its entire weekend rotation and its best reliever from last season. In 2017, the Hoosiers will have to rely on less experienced starters like sophomore Jonathan Stiever for help on the mound. Michigan State had the best pitching staff ERA in the Big Ten in 2016, but they will be without 2016’s best two performers on the mound in 2017. Cam Vieaux posted the second-best ERA in the conference, while his teammate Dakota Mekkes pitched to a conference-best ERA out of the bullpen. However, the Spartans will return the rest of a staff that allowed a conference-low 19 home runs last season. On offense, Michigan State will be without Jordan Zimmerman, who batted .374 in 2016, but will still bring back a good lineup that can compete in the conference. Of all of the Big Ten teams, Ohio State may be taking the biggest hit this season. The Buckeyes are losing six of their regular position players from last year’s team, including Nick Sergakis and Ronnie Dawson, who both hit over .330 in 2016. As for the rotation, the Buckeyes will be without their top two starting pitchers from last season, including first-team All-Big Ten selection Tanner Tully. Ohio State does have plenty of freshman coming in who could step into starting roles, but they will be have to prove themselves before the Buckeyes can be considered a true conference contender. After a mediocre 12-12 Big Ten performance last season, Illinois is losing its two most productive players from 2016. Starting pitcher Cody Sedlock moved on to the pros after posting a 2.49 ERA and collecting the Big Ten Pitcher of the Year award last season, while catcher Jason Goldstein was also drafted after a season in which he led the Fighting Illini in batting average and on-base percentage. The Illini will, however, bring back most of the rest of their roster, including 1B/DH Pat McInerney, who slashed .301/.373/.456 last season. After winning the Big Ten regular season title and making the NCAA Tournament in 2016, Minnesota projects to take a substantial step back in 2017. The Golden Gophers are losing four of their top five hitters from last season, including Matt Fiedler, who hit .372 with eight home runs and made 15 starts on the mound. The roster turnover for Minnesota continues into the pitching staff, where they have lost 2016 staff ace Dalton Sawyer and closer Jordan Jess. The Gophers now have seven new true freshman on the roster who may need to step up to keep Minnesota competitive in 2017. The middle of the Iowa batting order will look much different in 2017. Its top three hitters, including Big Ten hits leader Joel Booker, have all since graduated and will need to be replaced. Possible early lineup struggles will need to be picked up by a pitching rotation that returns its anchor, Nick Gallagher, in 2017. 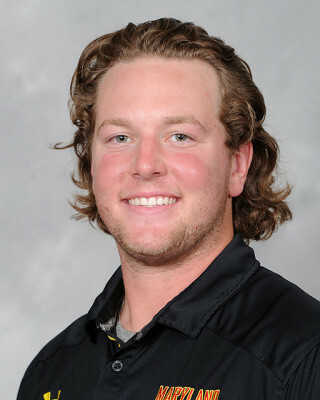 Gallagher pitched to a 2.57 ERA last season and will be the key piece this season if Iowa wants to make a run back to the Big Ten Championship Game. Coming off a season in which they were almost perfectly average, the Nittany Lions may be looking at a losing season in 2017. Penn State is losing its three most productive hitters from 2016, including Jim Haley, who hit .315 last season. The Nittany Lions will also feel the losses on the mound, where they will be without their top two starting pitchers last season. Penn State will also miss its 2016 closer Jack Anderson, who’s submarine delivery helped him pick up 13 saves last season. Baseball could make for a not-so-happy Valley in 2017. Rutgers struggled in 2016, and it won’t get any easier this season. The Scarlet Knights have lost R.J. Devish, who was the conference leader in batting average (.375) and on-base percentage (.524) last season, and Howie Brey, who posted a 3.50 ERA in 14 starts. Despite Rutgers’ struggles last season, they did lead the conference with 121 stolen bases, and outfielder Juwuan Harris picked up a conference-best 37 of them. The Scarlet Knights will have to continue to run if they want to improve in 2017. Northwestern struggled in conference play last season, but they will return most of their offense, and those hitters will have had another offseason to get better. The most important returning hitter is Matt Hopfner, who hit .355 in 2016. On the pitching side, however, things are looking bleak at Northwestern. The Wildcats finished last in the Big Ten in ERA and batting average against last season, and they have since lost their only viable starting pitcher, Reed Mason. It will be tough for Northwestern to get outs in 2017. Coming off of a putrid 2-22 conference record in 2016, Purdue comes into this season with a lot of roster turnover. The Boilermakers will be without last season’s top hitter, Kyle Johnson, who batted .318, and top pitcher, Matt Frawley, who posted a 2.78 ERA. Sporting the second-worst pitching staff and worst offense in the Big Ten in 2016, the Boilermakers have nowhere to go but up. Maryland Baseball Network is counting down to Opening Day! Today marks 12 days until the start of the 2017 season, so here’s a look at #12, Andrew Miller. Height/Weight: 6’2″ / 210 lbs. 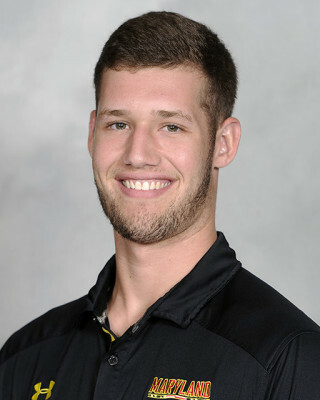 About Andrew: Andrew Miller made 10 appearances for the Terps out of the bullpen last spring, striking out nine in 7.0 innings pitched but sporting a lofty ERA over 11. After an up-and-down freshman season, he hit his stride as a member of the Cal Ripken League’s Baltimore Redbirds last summer. He finished fourth in the Cal Ripken League North Division in strikeouts, punching out 9.79 hitters per nine innings. His finest outing as a Redbird came on July 17 against the Vienna River Dogs when he got the start, and pitched 6 2/3 innings, giving up just one run on six hits with five strikeouts. 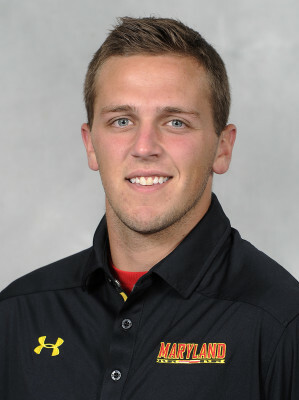 The New York Yankees drafted Miller in the 34th round out of high school, but he decided to come to Maryland instead. He throws a fastball that touches the low 90s and complements it with a changeup and a slider. This season, Miller figures to be one of several lefties that will see considerable action out of the Maryland bullpen.